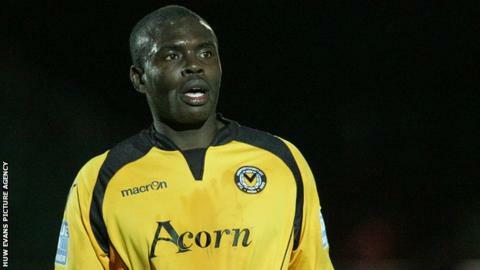 Goals from Ismail Yakubu and Aaron O'Connor sent Newport County back to the top of the Blue Square Bet Premier. Defender Yakubu headed in at the back post from Jake Thomson's corner on the stroke of half-time. Adam Cunnington responded in similar fashion as the hosts levelled after the hour mark. But O'Connor's rapid reply from close range put the visitors back on top, aided by Wrexham's 2-1 win against Forest Green Rovers. Newport manager Justin Edinburgh told BBC Radio Wales: "That was a fantastic advert for Blue Square Bet Premier football. "The two teams went at it for a win and I thought we played some excellent stuff and we were unfortunate to come up against an outstanding goalkeeper on the day. "Because I think we could have got a few more goals. "We had to defend and be resilient and together and what pleased me is the whole performance… for me it was a complete performance."